Home » Is Opti Coat Worth It? Home > Ceramic Coating > Is Opti Coat Worth It? 09 Oct Is Opti Coat Worth It? Is Opti Coat worth it? It’s a question we frequently read online and are asked. If you are wondering if Opti Coat Pro is worth it, there are other questions that need to be answered first. Although we at Gleamworks – a Vancouver BC ceramic coating shop – have a vested interested in saying that Opti-Coat is worth the cost, we have also tried other ceramic coating products and to our experienced eyes and hands, Opti-Coat is a clear winner. Many of our Vancouver and Richmond ceramic coating customers have tried other products only to find themselves in our shop within a year. To them, and us, Opti-Coat provides better, longer lasting paint protection and aesthetic results. Before we answer whether Opti-Coat ceramic coating is worth it, here’s a quick primer on Opti-Coat for those who don’t know about the product. Opti-Coat Pro is a premium ceramic coating product that will protect your vehicle’s surface (the clearcoat or “topcoat” as it sometimes called) from light to medium scratches, swirl marks, acid etching (from road grime chemicals, bird droppings and tree sap) and hazing from UV exposure. Opti-Coat is different than other ceramic coating products in that it chemically bonds to the clearcoat, making it stronger and more resilient than ceramic coating products that merely sit upon the surface. Opti-Coat is also “superhydrophobic”. No, it’s not afraid of water 😉 It repels water and other liquids. The hydrophobic properties mean that contaminants in rain, sleet and snow, do not adhere to the topcoat and do not result in hard water spotting or acid etching which can ruin the look of a finish and can become permanent. Opti-Coat also results in an amazingly deep gloss that is mirror like in its reflective properties. Cut to the Chase Already. Is Opti Coat Worth It or Not? The shortest answer we can give is “Yes” and “No”. If you don’t care about vehicle aesthetics or are driving a vehicle with a finish already in grave disrepair, then “No”, it’s not worth it. However, if you do care about how your vehicle looks, if you’ve just spent 30K to 200K on your dream vehicle, then emphatically “Yes!” it is worth it. Even if you spent less than 30K on your car, protecting your new car’s finish makes sense. Read on. Your vehicle came off a production line, its topcoat is not perfect, nor thick, and certainly doesn’t have the properties of Opti-Coat ceramic coating. The cost of such a topcoat from the factory would balloon the ticket price of your vehicle because of the labour involved. It’s not possible to automate an Opti-Coat ceramic coating finish. It requires the skilled and loving touch of a trained ceramic coating installer and requires preparatory steps such as chemical decontamination and cut polishing. Your new vehicle topcoat begins degrading as soon as it rolls off the lot. A new vehicle’s finish begins degrading as soon as it is exposed to the elements – even while sitting on the car lot! Water spots and chemicals will affect the vehicle’s finish. The calcium and magnesium deposits and acids in rain don’t care if a car is on a dealer lot or driving the streets. Even improper cleaning on the lot will show swirl marks, spider webbing and light scratches. We cannot count the number of “new” vehicles we’ve seen in our shop that have these types of scratches from improper cleaning at the dealership. Once you’re out there driving, it only takes a few weeks to notice the wear and tear on your clearcoat. If you are only using a car wash or waxing your car and periodically washing, you may be doing more harm than good. Car washes can be brutal to a car’s finish as can improper washing and waxing. For these reasons, “Yes!”, Opti Coat is worth it. We and our customer think so. You’ve just invested in a new car. Do you really want to neglect this investment? If you’ve just bought a new car, be it a family sedan, luxury vehicle or supercar, why would you neglect the investment and let wear and tear ruin your paint job? My car isn’t new. Does that matter? Not really. Opti-Coat can still protect the finish on an older vehicle. This is especially true if you have refurbished collector vehicle. Not all ceramic coating installers are created equally. If you think you’ll just get some ceramic coating and do it yourself or hire someone from Craigslist who says they are a ceramic coating specialist, be careful. We have spent hours training with Opti-Coat and other manufacturers and have installed ceramic coating on hundreds of high end vehicles. We know that a good Opti-Coat result is only as good as the painstaking preparation and time we put into each installation. We don’t rush. We baby every vehicle we work on. On average, it takes between 10-14 hours to install Opti-Coat Pro. In fact, Opti-Coat itself is one of the last steps. The first steps are chemical decontamination, touchless hand washing, cut-polishing, re-wash and dust removal, then Opti-Coat. So, “Yes” Opti-Coat is worth it if you hire the right installer. Only you can answer whether Opti-Coat is really worth it. As with all products, seeing is believing. 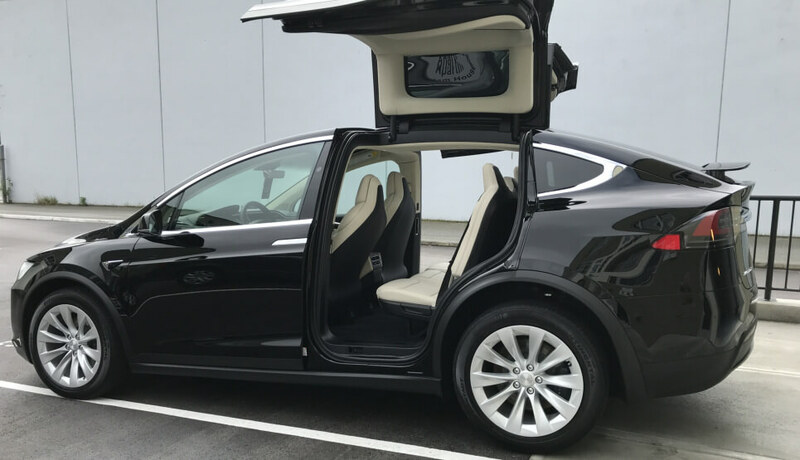 Take a look at this Opti-Coat installation on a Tesla. Read what people are saying about Opti-Coat online and check out Opti-Coat ceramic coating reviews from real car owners. You’ll see many owners of luxury vehicles talking about how much they love Opti-Coat. They love it because it looks amazing with little maintenance. You’ll never have to wax your car and the protection is long lasting. While the warranty of Opti-Coat Pro Plus is 7 years, the protection does last longer. View our Opti-Coat ceramic coating pricing.